Y'all, Can I just tell you how freaking excited I am right now? We're going back 7 years, in fact it was August, 7 years ago. At my dining room table in the evening as I was putting up my very first listing for a business I decided I wanted to start with a friend. Fast forward to 5 years later. 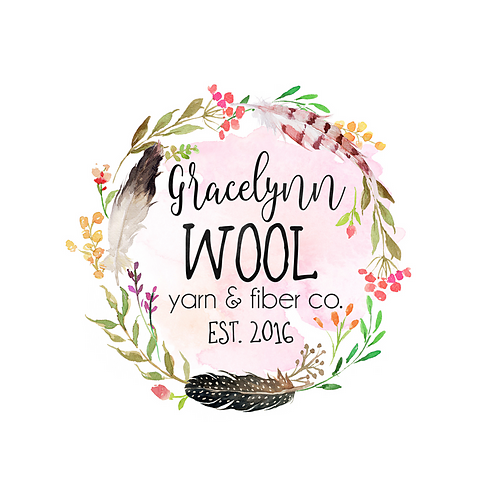 Things changed, a lot happened, and I decided to open Gracelynn Wool. There was a lot more that happened in there - but we don't need to go there today. Today's post is not about the past - but the the future. And I can barely contain myself. Last week I met with the most amazing owner (Esther) of a brand new up and coming LYS here in Spokane, and she placed a wholesale order with me! What? I literally got in my car as soon as the meeting was over and called my husband. Even though I had had set up wholesale accounts with shops when I was at Vogue Knitting Live, Seattle this past fall, they aren't set to actually start until later this year - so this is truly the very first brick and mortar my babies will make it into! Esther's sweet shop: The Hook and Needle Nook, LLC. is set to have a soft opening on June 1st here in Spokane, and I took the whole day off to spend there and I am beyond excited! Esther placed a modest order that I will be delivering to her on May 28th, all labeled and ready to go. 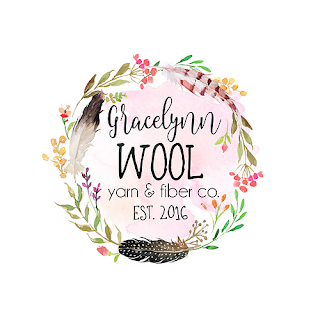 I revamped my logo - making it more me, and am having a small few things made to hand out while I am there for the grand opening - I am so excited!!! Crossing my fingers that they come. My order from the Mill came yesterday, so all that is left to do is dye it all up and get it going. When I started that first company with my ex-business partner - it took 5 years of really struggling before we really got it off the ground, and so when I started Gracelynn Wool, I was expecting the same time frame. However, To only be 1 1/2 years in and already moving where we were at around year 3 - I'm completely blown away. So friends, if you are in the Spokane area on June 1st and want to come hang out with me at the cutes LYS in Spokane, I'll be there waiting to hug ya. Going through life with a little grace, strength, wool & glass of wine.